WHEELING — Full Circle, featuring the duo of Ben Podolski on the violin and Debbie Breiding on the piano, will entertain the Thursday Music Club at 11 a.m. Feb. 7 at the Stifel Fine Arts Center, 1330 National Road, Wheeling. 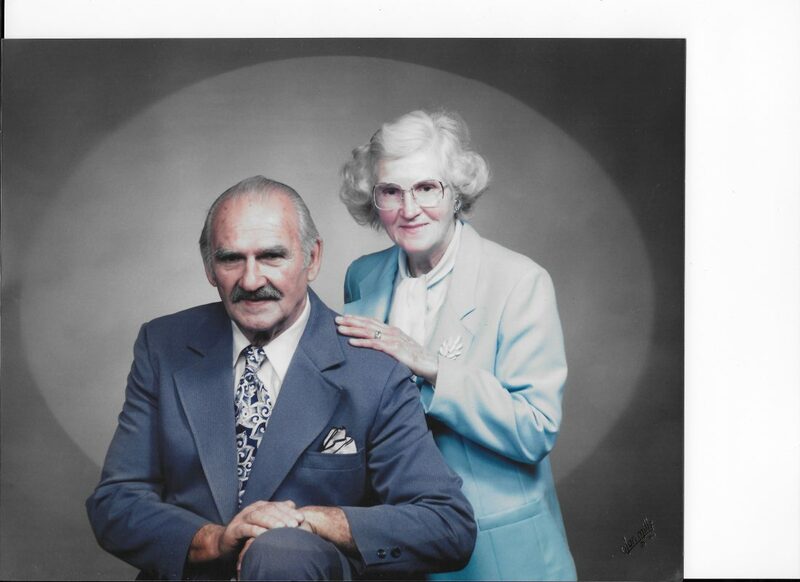 Their sister, Teresa Podolski-Cybulski, will be joining them to pay tribute and in honor to their parents who encouraged them so much, Walter and Betty Podolski, The picture is of Walter and Betty Podolski on their 50th wedding anniversary. George and Carol Couch and Clyde and Joan Campbell are the sponsors of this month’s entertainment. President Geri Sloane will conduct a short business after which lunch will be served by caterer Judi Porterfield. There is a fee and you must have a reservation. To make a reservation, call Emily Mayer at 304-232-1714 or 304-780-4155 by Feb. 4. Marilyn Hart and Margaret Laing will greet guests and members. Suzanne McCormick is in charge of table decorations. The Study Group will meet at 1 p.m. Feb. 11 at St. James Evangelical Lutheran Church, 1409 Chapline St., Wheeling. Emily Mayer is the presenter and Judy Szymialis is the hostess. For more information, call Lynn Welsh at 304-277-4730. The Thursday Music Club Chorus has started practicing for the Spring Concert held in April. Anita Chops is the director and Debbie Breiding is the accompanist. They practice every Wednesday from 10 a.m. to noon at Elm Grove Methodist Church, Kruger St., Elm Grove. For more information, call Anita Chops at 304-242-1455. This month’s program combines the talents of brother and sister Ben Podolski and Debbie Breiding. The duo will present violin and piano selections that have proven to be audience favorites whenever they have performed together for school, church, and community events throughout the years. 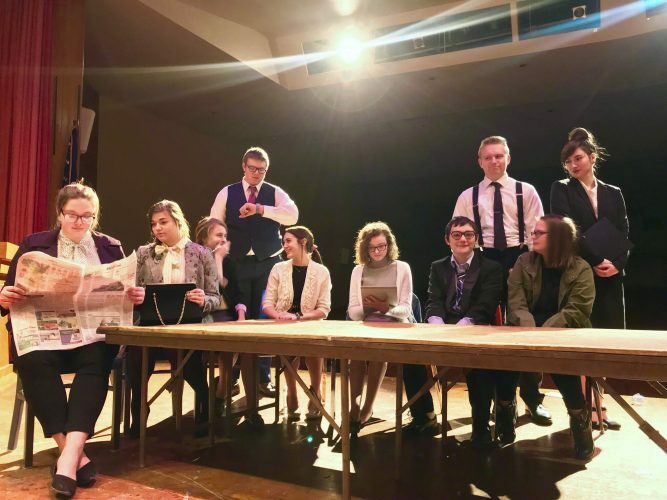 They are calling their program “Full Circle” as they play to honor their parents who encouraged their musical studies and to acknowledge The Thursday Music Club of Wheeling which helped to foster the musical education of their youth with the annual Auditions the club continues to sponsor. Ben furthered his music education at the Dana School of Music of Youngstown State University where he earned both Bachelor’s and Master’s degrees. Currently he serves as conductor of the Wheeling Symphony Youth Orchestra and is a teacher of strings for the Ohio County Schools at Wheeling Park High School. Debbie earned Bachelor’s and Master’s degrees from Carnegie-Mellon University. Currently she is an accompanist and secondary piano instructor at West Liberty University and music director at both Vance Memorial Presbyterian Church and Corpus Christi Parish. They have also invited their sister Teresa Cybulski to join them on the program. Cybulski recently retired as a music educator from the Buckeye Local school system and is a West Liberty University graduate.